One of my favorite things to do this time of year is bake. I much prefer baking to cooking and when I'm in the baking groove, I can do it all day long. Cookies, muffins, you name it. I love it all. 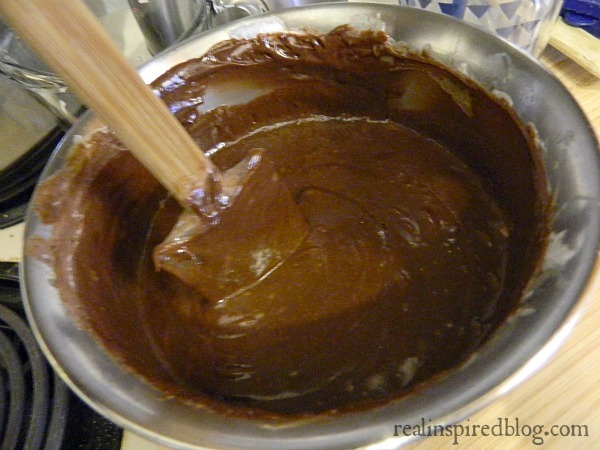 Fudge isn't technically baking, but I put it in that category because it's sweet and finicky. 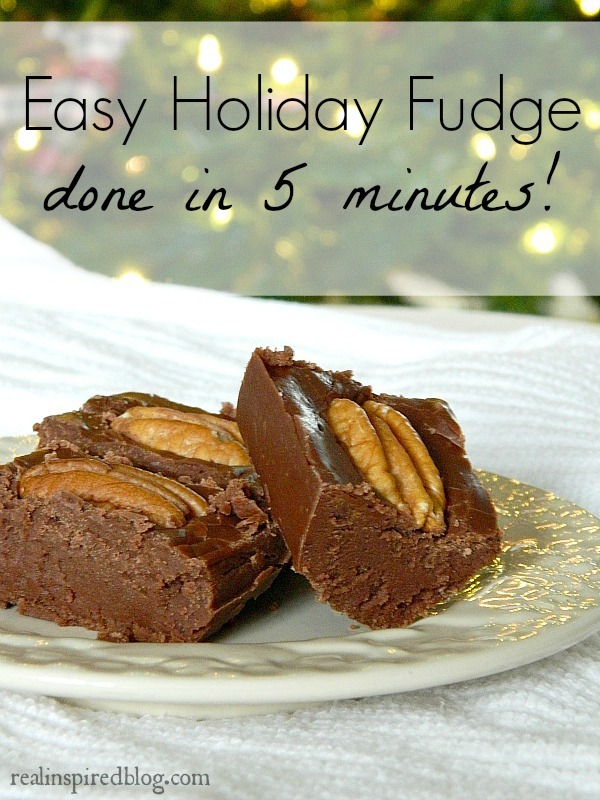 This Christmas fudge recipe is easy to make and it also happens to be the best fudge I've ever tasted! Now, I'm picky with my fudge. Too many times I've picked up a piece of fudge at a Christmas party and found it lacking. Usually it's too dry, but occasionally the taste itself is off. Not this recipe. It's never dry and the taste comes out sweet and smooth everytime. I'm pretty sure the marshmallows are the secret ingredient that makes it so amazing. 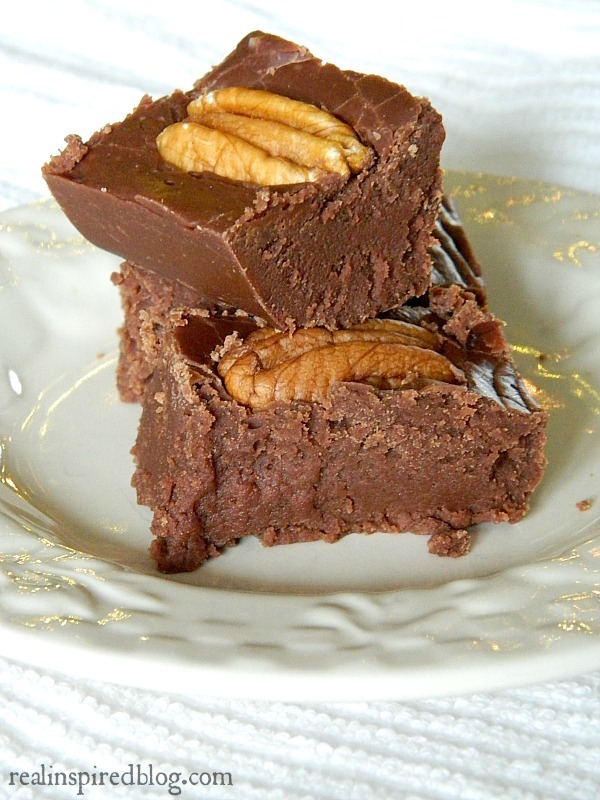 A friend of ours recently declared it the best fudge ever so there's that. 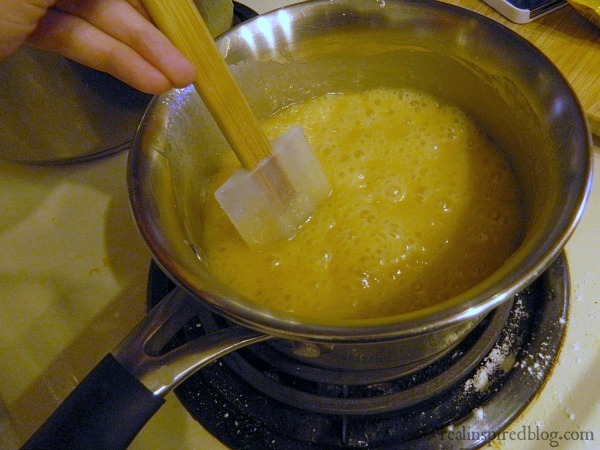 Start off melting butter in a medium saucepan over medium heat and add salt, evaporated milk, and sugar. When it starts to bubble turn on a timer for 4 minutes. If it hasn't thickened a bit by then, add 1 more minute. Do not cook longer than 5 minutes! 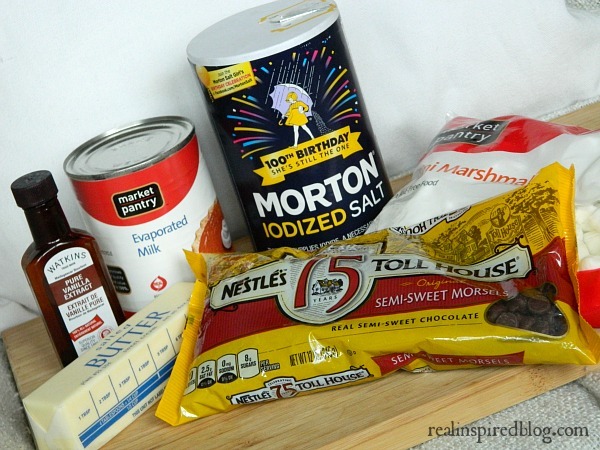 Remove from heat and add chocolate, marshmallows, and vanilla. It will start to set up fast so move quick! I try to have most of the ingrdients premeasured and waiting to be added. After it's mixed, add to a greased 8x8 pan to cool. Sometimes I put pecans on top because it's yummy and pretty. Chopped nuts can be added too. I got this recipe from my aunt but I think it originally came from a magazine. It's pretty foolproof. Occasionally, I've made a batch that doesn't set well and stays soft. It probably depends on how old the ingredients are, whether it undercooks or overcooks, or if there's a full moon out. My best guess though is that those are the times I've been heavy-handed with the chocolate chips and added more than the recipe called for. The flavor is still great though so spoon it out and put it on ice cream or something! Butter an 8x8 pan and set aside. Combine butter, evaporated milk, sugar, and salt in saucepan over medium heat. Bring to a boil. Cook 4 to 5 minutes, stirring constantly(start timing when mixture starts to bubble around edges of pan. Remove from heat. Stir in marshmallows, chocolate, vanilla, and nuts. Stir vigorously for 1 minute until well blended. Pour into buttered pan. Cool completely before cutting into squares. Seriously, best fudge ever. In addition to making some for my family, I like to make batches to give away as gifts. Since each batch only takes 5 minutes to cook, I can spend the rest of my time doing other Christmasy things. Like Christmas decorating while keeping kids alive and all that. Which, hopefully, I'll be able to show you next week! It's a little late for a Christmas tour, but final exams got in the way a bit. So yes. Fudge. Make some. 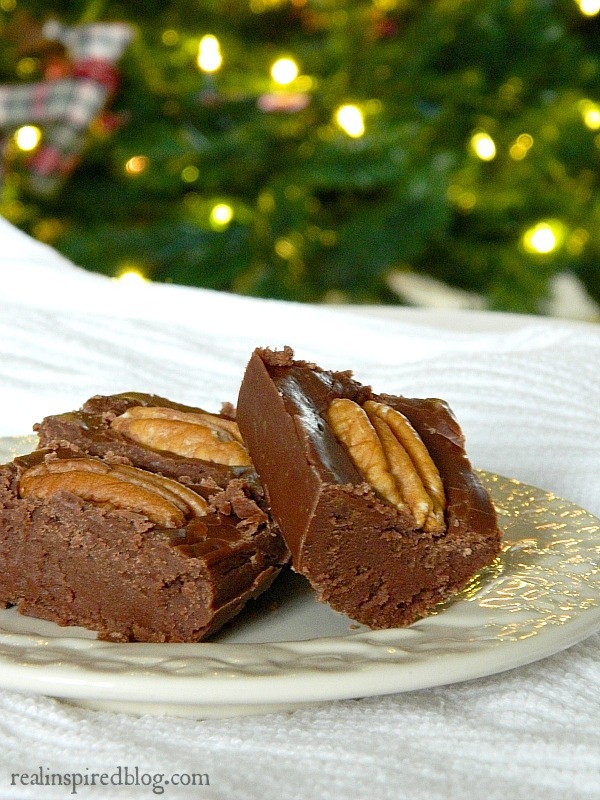 This fudge is a Christmas tradition around here, along with cinnamon rolls and hashbrown casserole. Because I'm curious, I'd love to hear what special traditional thing you make for the holidays. Pizza? Roast beast? Turducken?? Inquiring minds want to know!